Compagnia Circolabile, an itinerant theater group, stems out the artistic cooperation between Andrea Menozzi and Christel Dicembre. Although coming from different experiences, cultures and backgrounds, they share the same views on street art and theater as well as the same passion for the clown and the study of human nature. 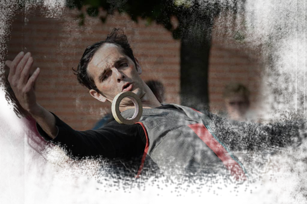 Compagnia Circolabile performs clown shows in which several circus disciplines, from juggling to objects manipulation to acrobatics entwine. It also manages the artistic direction of small festivals. 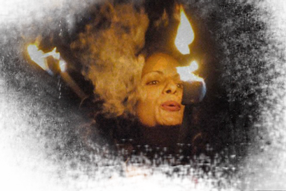 It also promotes workshops geared to deepen the research and knowledge of the art of clown and circus. Since 2006, Andrea And Christel has been organizing workshops on miming, clowning, juggling and accrobatics, and since 2012 Andrea has been teaching miming at Alessandra Galante Garrone, the Scuola di teatro in Bologna. Andrea Menozzi was born in Reggio Emilia in 1972. Actor, clown, juggler and mime. Versatile, he began his theatrical journey at the Galante Garrone theatre school and continued it with Yves Lebreton, Jean Meningault and Pierre Byland..